Today we have collected a digest for you on "vinyl" topics, which included articles from our blog " The world of Hi-Fi ". Under the cut-out materials about how the vinyl records appeared and how they produce, as well as recommendations for those wishing to begin their acquaintance with the "turntables". ), In which we, together with expert Timofey Shikolenkov ( sshshick ), Talk about the situation with vinyl players and discuss all kinds of myths and opinions and recommendations related to the topic vinyl. We deal with those who are interested in vinyl, where it is produced and sold. 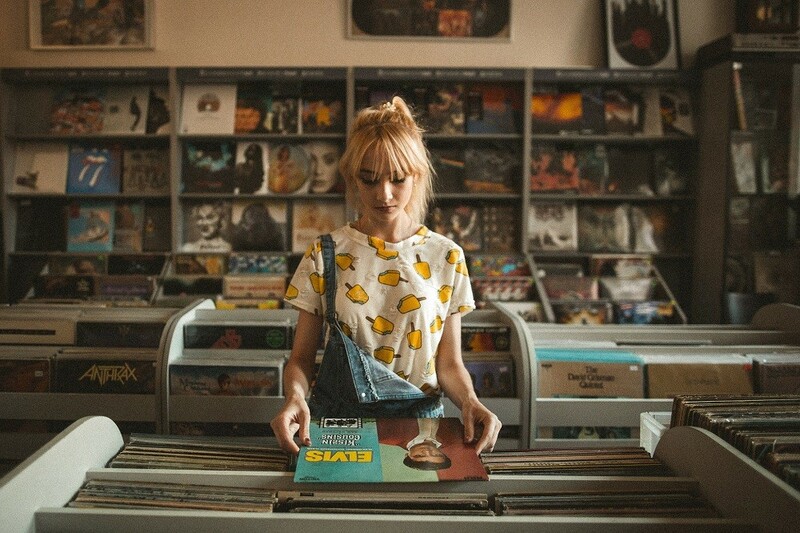 Vinyl: pretend to be a connoisseur of . The article will be liked by those who want to understand more in detail the technical nuances of the work of vinyl players and the characteristics of records. Here you will find answers to many highly specialized questions, for example: why you need a measuring gramophone record, what is a poide, and what causes a pinch effect. 100 questions about vinyl: why you need vinyl and where to start . If you are new to the world of vinyl, this series of questions and answers is written to help you navigate. Where to buy records and what to look for when buying on the secondary market? What is the modern reissue of records different from the collection options? The article will help to approach the collection of the library in a systematic and knowledgeable manner. "Highway Hi-Fi": from what began and the story of record players for cars has ended. . Today we are already accustomed to the opportunity to listen to music in the car, but for car enthusiasts in the mid-1950s this was a novelty. The appearance of the first audio players in the models of Chrysler cars was a unique event, which was written about in the press. More details about the first Highway Hi-Fi systems, the principle of their operation, and also a specially developed for them vinyl format we tell in the article. The history of vinyl. The unfading sound . 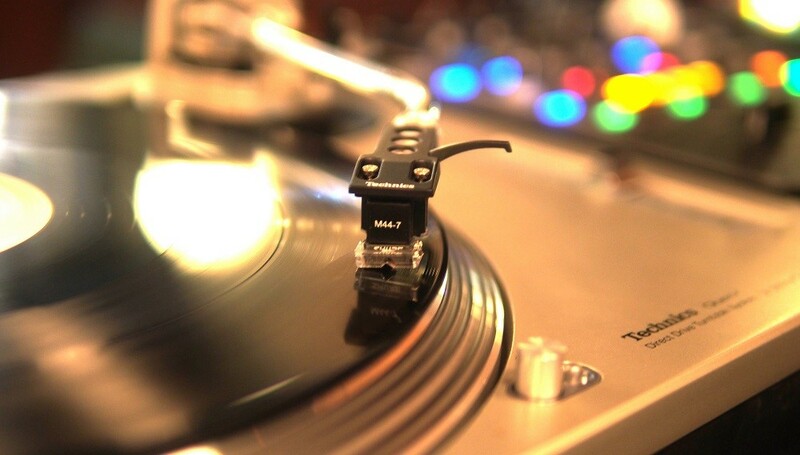 Universal digitalization and digital sound recording did not affect the interest in vinyl records, which continues to grow every year. According to the report of the American Association of record companies, only in the US for 2017 was sold. plates worth about $ 395 million. Here we will tell you where the story of this carrier began and understand the diversity of standards (sizes, materials and recording principles). History of audio equipment class High-End . The first high-end equipment appeared in the years of the end of the Second World War. Since then, devices of this class have experienced several important stages in the development of technology. More details about each historical milestone are told in the article. History of sound recording: from mechanics to the figure . This is a compact story about recording: from the mechanical in the IX century to the digital audio formats of our time. Back in the article there is an example of sound recording from 1860. The rarest and most expensive plates in the world are . $ 300 thousand - this amount was given by the musician and the founder of the band White Stripes for the master disc with the single Elvis Presley. We speak about the very first released master-disk of the king of rock'n'roll, rare albums on records on 78 turns and other collectible records. From the article, you will learn which record the Minecraft creator bought, who owns the unique record of The Quarrymen. "Between the vinyl and the cassette": the history of the tephifon . The prototype of this unusual audio gadget was invented in the 1930s of the last century in Germany and was first used for military purposes. The self-titled player has a playback method similar to vinyl - using a pickup with a needle. We tell about the history of the creation of the tephifon, its design and purpose, as well as the flowering of the format and the reasons for the fall of its popularity. The Holy Grail of Vinyl: mastering art at half speed . London studio recording "Abby Road" exists since 1931. It recorded their albums such cult rock bands as U? Keane, Pink Floyd, etc. It was near this studio at the pedestrian crossing that the Liverpool Four made their famous photo. In the article, the engineer of the studio Miles Shawell acquaints us with many nuances and details of painstaking work on cutting vinyl records and features mastering records at half speed. Report from the factory Ortofon: technology, materials and a bit of history . The company began its journey with the development of technology for scoring movies. In the audio market, it became known after the invention of one of the most advanced types of pickups in the late 1940s. Since then Ortofon released more than three hundred models of cartridges. This article is a tour of the factory with a story about the technologies used. In the second part of This material Ortofon engineers show the whole assembly process and share the nuances of creating new models: from the idea to serial production. Clearaudio perfectionism. How do turntable recorders . For 40 years, Clearaudio has grown from the small family business of sound engineer Peter Zuhi into the world-famous brand of vinyl players. We offer a look at the production and the office of the German company and get acquainted with it in more detail. The first part of the excursion is devoted to the stages of assembling vinyl players and parts for future devices. In the second part of you will learn how tonearms are manufactured and assembled and how the player's parts are tested. Return of the era of vinyl . The melodramist Mark Rainey opened up a nearby factory near Portland, a city renowned for its independent music scene, the Cascade Record Pressing Vinyl Record Factory. In the article, he and other industry representatives share their thoughts on the future of vinyl, the problems faced by the factories (the search for independent labels, outdated equipment, etc.) and discuss why the quality of plates can suffer from their increased demand. How to make vinyl records, or the new LP-capital of the world . The first single of The Beatles in the USA was released in the city of Nashville at the largest record-making factory - United Record Pressing. We will show how the round-the-clock production of vinyl works and tell how long it takes to "print" a batch of discs. We will discuss how Nashville's innate conservatism and his connection with country music influence the success of the factory and why vinyl will live, despite the development of high technologies. How does the largest factory vinyl records . Another material about the nuances of production and sales of vinyl records, but now in Europe. In the small Czech village of Lodenice works the largest factory of plates GZ Media. The general director of the factory tells how the development of their own presses and the introduction of new technologies help them to fulfill orders faster than others, and also how the work at the factory is arranged. Also, you will learn how the records are packed and delivered to music stores. Roberto Vigo: "Master tape is the purest source of analog sound" . Studio Analogy Records "writes" to the tape of artists of different musical genres: jazz, pop, folk, etc. In this interview, its founder, music enthusiast and engineer Robert Vigo shares his brand history, the subtleties of tape recording and the advantages of master recording in comparison with copy. What is HD-vinyl and is it really so good . Austrian company Rebeat Innovation announced HD-records the future of vinyl recording and recently attracted $ 4.8 million investment for their production. The company promised to release the first batch in 2019. How does the new technology differ from the traditional one? What are its advantages and disadvantages? How will it affect the life of the records and their value? We discuss this in an article. Battle for the format: bobbin vs cassette vs vinyl vs CD vs HiRes . The company MMS, producing audio equipment and multimedia, arranged a "battle" between the five audio formats. In comparative listening, anyone could take part. Visitors were asked to guess by ear which one of the formats sounds based on the characteristic features of the playback. Read the results of the experiment in our material. Flexible plates are a universal medium that has returned from the past . Let's talk about the history of this audio medium - from underground rock and roll recordings on X-ray images ("music on bones") to records with pop stars in the monthly magazine Krugozor. We will give examples of the use of a flexible format in Russia and abroad and talk about how to start its mass production. Can a modern edition of the record prove to be better than the first one? . One of the 30 best selling albums in the history of music - Brothers In Arms of the British rock band Dire Straits was released in 1985 and sold around 30 million copies. We compared the first press of a popular album with a re-release. Can a modern reprint compare with the original first pressure on sound? How did the digital mastering of the first edition affect him? In the article we answer these questions and share the results. A guide for converting analog vinyl discs to digital files using Windows . In simple words, we explain the entire process of digitizing vinyl - from the requirements for the equipment to its verification before recording. In the form of a detailed step-by-step guide, we give recommendations on the software (Audacity editor and its settings), as well as tips on restoring digital audio (removing jumps, clicks and cod). Digitization of vinyl: "FOR" AND "AGAINST" . In this article, we analyze all the subtleties of translating vinyl records into a figure: what role does the audio card play, what programs need to work for editing the record, and why the phono stage can not be avoided. Equal to each other is the sound of releases released on CDs, SACDs, and digitized from vinyl. Why CDs can sound better than vinyl records . The issue of confrontation between these two formats is not just a verbal battle at the audio forums. The article tells about positive and negative points in the use of both formats. Let's talk about the reasons why a vinyl record does not always sound better than a CD and vice versa. How to digitize vinyl plates . Another "two-volume" material on the digitization of vinyl records. In this part we dwell in detail at each stage and analyze the bottlenecks - what to look for in the test runs of the system and what software to choose. In the second part of let's talk about the restoration of the recording (audio editor tools, trimming techniques, etc.) and give advice on removing defects (clicks, hisses, etc.). My first vinyl player - where do I start? Thanks for sharing the informatino about these 20 materials. I will make sure that I pay someone to write my essay for me on this topic, so I can share that essay on my site, and let all the readers know about these materials.